With this extensive collection, you can find charming Farmhouse style for every room in your home. 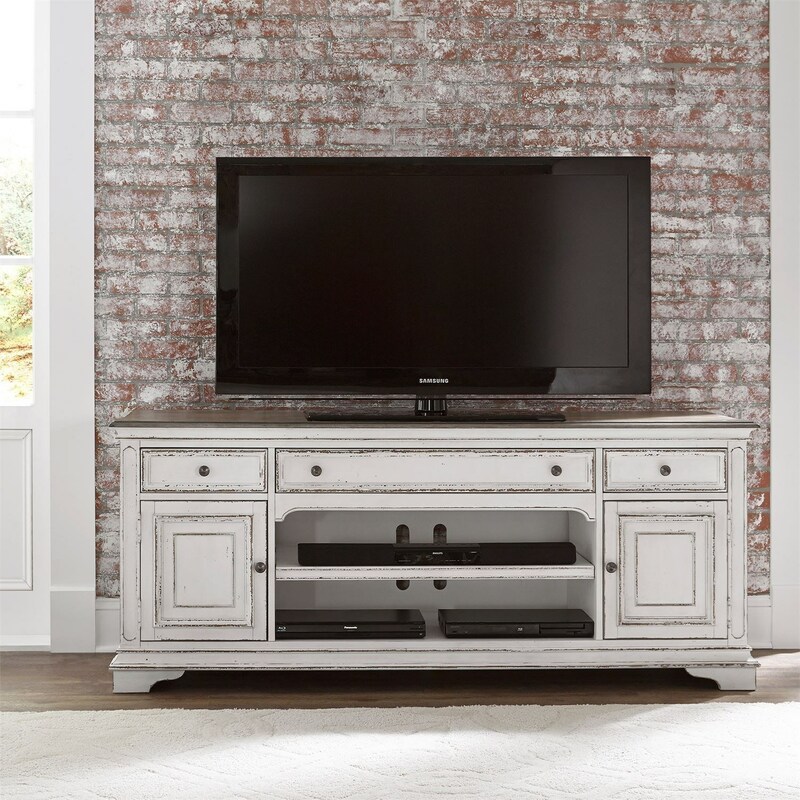 This TV stand brings cozy and welcoming style to your living room or entertainment area. It's crafted from distressed oak and birch veneers and features a contrasting top in warm brown. It offers ample storage for media players and soundbars with three drawers and an open compartment with adjustable shelf. The Magnolia Manor 73" TV Stand by Liberty Furniture at Zak's Home in the Tri-Cities, Johnson City, Tennessee area. Product availability may vary. Contact us for the most current availability on this product.